TMRGB is a series of blog posts wherein I, a rugged truck driver with security clearances from multiple federal entities, recommend effeminate fiction to the masses. Art is a transmission for my mind. It helps me shift gears when conditions change around me, and that’s especially true when a new season rolls into town. It’s raining, it’s cool outside, and Friday was the first day of autumn. It’s time to fully embrace the Halloween spirit, and that means Halloween books. 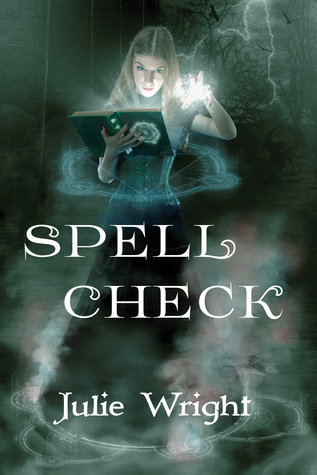 Enter SPELL CHECK, by Julie Wright. And speaking of check, it does that. Teen girl protagonist? Check. Evil cheerleader villain? Check. Totally hot guy figure? Check. Parents at home that Just Don’t Understand? Check. Last of all, beloved grandparent figure who fills the role of a Gandalf archetype? Super check. 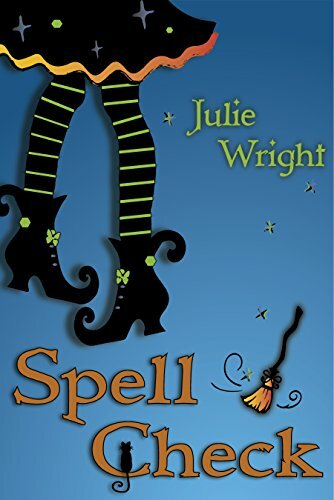 Our heroine, Allyson, accidentally discovers she has witching powers when a practical joke goes awry and she curses her worst enemy at school. Her dear sweet grandmother, Farmor (that’s a title, not a name–there’s a Swedish flavor to this family) is there to guide her in the development of her abilities, and explain the ramifications of abusing them. But of course it’s oh-so-tempting to use those powers to continually humiliate Queen Bee Cheerleader Wench, especially because it gives Allyson a shot at Totally Hot Dreamboat Dude. It’s been a while since I read this so I forget their names. I should probably read it again because hey, October! I kind of liked that one more, but I realize why the change works: the new version captures the whimsical spirit of the book (seriously–at one point Allyson accidentally sends some loved ones to the Amazon, and she has to teleport there to intervene.) The old version, while more complex, also promises something darker, perhaps more Gothic, and much more fantastical. SPELL CHECK hearkens back to the Halloween movies of the 90s that we loved so much. It’s a little bit Hocus Pocus, a little bit Halloweentown, and a whole lot of fun. The link at the top of this post takes you to Amazon. (Heh.) Do the meta thing and buy a copy! I’ve slashed the Kindle prices on four books. For $6 you can own the Kindle versions of the four books I have out right now. Each of them is fully illustrated. KILL THE BEAST: a spoof on the classic love story with the arrogant woodsman as the protagonist. REBEL HEART: Calvin Adler trains to become a technomancer so he can fight British magicians. SUICIDE RUN: After ticking off both sides, Calvin literally runs for his life and accidentally empowers his most dangerous enemy. PATRIOT’S GAME: It all comes down to this…mages and monsters versus men and machines. Enjoy! I hope you’ll leave a review on Amazon, those are a huge help to me. Thanks all! I’ve heard this question a lot, not always directed toward me, and there are a couple of good answers to it. I’ll save the best one for a second. Kind of like when Stephen King cleaned high school locker rooms during his summers as a teen, and when he saw the girls’ room, he was confused at the feminine hygiene product dispenser on the wall. It was explained to him, and he filed that knowledge away. Later in life when he was reading an article on human telekinesis, he learned that it allegedly manifested during times of heightened emotional duress, for example, a teen girl’s first menstrual cycle. Those two things together formed the beginning of his first big best-seller, Carrie. For a less graphic idea, take Leigh Statham’s “Not-So-Innocuous-Girl” books. Statham was studying some family history, chanced upon the tale of a transatlantic ancestor, and decided to retell it in a steampunk vein. My wife devoured those books. The point is, you play with things. Change it up. Ask yourself questions about how to make it work, and then you keep doing that. Soon you’ve built a whole world, and you can drop some characters into it for a rip-roaring good time. Like an American Revolution, only where the British use magic, so the Americans use tech. Or Beauty and the Beast, with Gaston as the hero. Or a superhero cheerleader Amazon warrior adventure. It’s about that easy. The idea isn’t the hard part. It’s sticking it out to the end that really wrecks your head.